Premium New Orleans & Baton Rouge photo booth for your wedding, party or corporate event. Eye Wander Photo stands for quality. We spend weeks looking for a photo booth that provided the same quality experience that you’ve come to expect from our brand. From the lights to the custom backdrops, even the quality of the photo paper and printer were researched. What we found is hands down the best materials to make your experience that much better. The cases themselves were made special by a family of welders, right here in the United States. Our photo booth attendants are extremely fun, helpful, and really good looking…just like you will be in front of our photo booth! 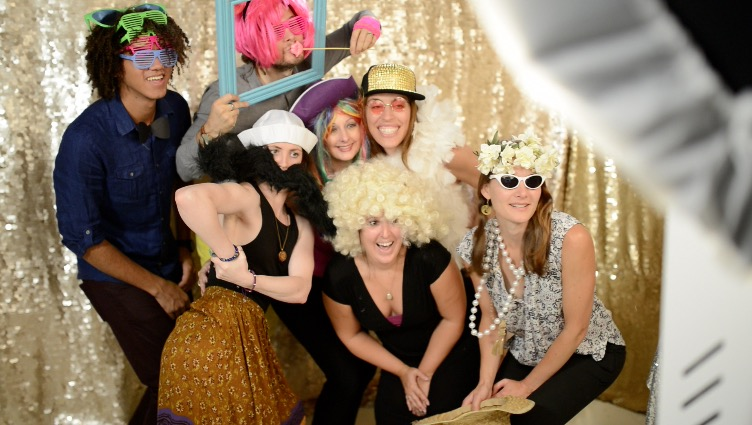 Our top of the line Open Air Photo Booths offer space unlike any photo booth before. Without any walls to restrain creativity, we can fit your entire party into one epic shot.